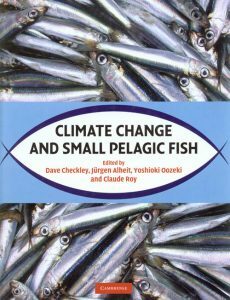 Climate Change and Small Pelagic Fish details the effects of climate variability on small pelagic fish and their ecosystems and fisheries. Particularly abundant in coastal upwelling regions off the west coasts of the Americas and Africa, off Japan, and in the NE Atlantic, the stocks of these fish fluctuate greatly over the timescale of decades, with large ecological and economic effects. Climate Change and Small Pelagic Fish describes the nature and cause of these fluctuations, and their consequences. It outlines results from paleo-oceanographic studies, showing that similar fluctuations have also occurred over the past two millennia. The potential effects of future climate change, both natural and anthropogenic, on stocks and fisheries, are considered. Climate Change and Small Pelagic Fish concludes by recommending the continued international study and assessment of small pelagic fish in order to best inform management and policy under a changing climate. It is written for research scientists, academics, and policy makers in fisheries, oceanography, and climate change. Fishes of the Maldives: Indian Ocean. Artist/Author: Kuiter, Rudie H. and Tim Godfrey. The perfect reference book for researchers, divers and snorkellers. 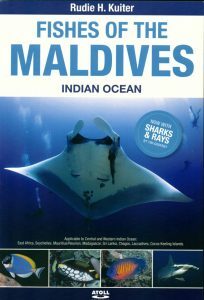 Containing over a thousand colour photographs, this book provides details for almost every shark, ray and fish likely to be encountered in this region. Using an innovative concept, this book allows for easy retrieval and identification of species. 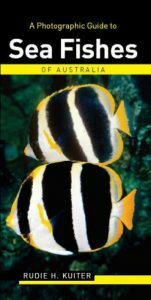 It includes a systematic classification and detailed description for each fish, and describes points of interest and differences between similar species. From the Oxus trout of eastern Afghanistan to the small golden brown trout of British chalk streams, James Prosek has dedicated his unique painting talent to bringing to life trout from around the world, several of which are the few remaining of their species. Prosek has a passion for trout and conveys their beauty with the stroke of his brush in this collection of nearly 100 gorgeous watercolours. 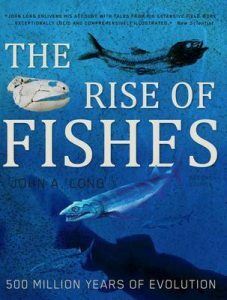 The text provides a historical profile of each fish along with personal reflections by the author. Prosek savours the beauty of various fishing spots, along with the fate of the species, contemplating man’s role in the extinction of animals. Both sensitive and informative, this book is a must for the library of the recreational fisherman as well as the ichthyologist. 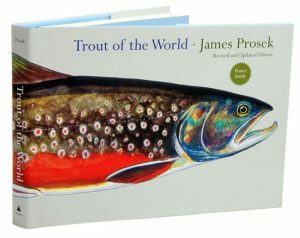 This reissue features an all new preface, along with thirty brand new illustrations in Prosek’s trademark style that explore not only the beauty of the fish, but educate and inform as well. Fish have inspired artists for thousands of years. They are present in the work of many Dutch and Flemish old masters, as well as French, English and American painters. Yet until now the social and cultural significance of fishes’ representation in art has been overlooked. 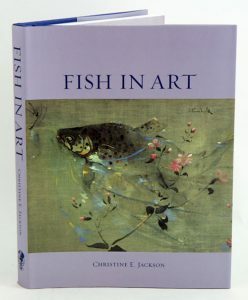 In this volume, Christine E. Jackson surveys a large number of paintings from 2000BC to the present day, examining the evolution of fish representation, as well as its preparation, cooking, eating and storage, and fish-specific kitchen- and tableware. Jackson also explores a diverse range of social and historical issues that have engaged artists, including religious decrees on when to eat fish, the legacies of ‘cod wars’, and the rise and fall of particular ports. Considering elements such as the ethics of catching fish alongside wider industrial changes in the canning, ice, and salt industries, This book is attentive to the relative importance of species to different nations. Offering a study of fish in art that is grounded in the physical conditions of fishing and the fish trade, the book will be of interest to fishermen, natural historians and art students alike. This book provides an original and unique perspective on the artistic legacy of fish and the fishing industry. 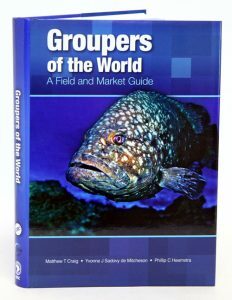 Groupers of the world: a field and market guide. Artist/Author: Craig, Matthew T. et al. 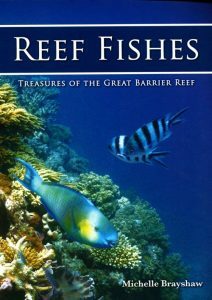 A detailed yet easy-to-use guide to the more than 160 recognized species, of these mostly large, colourful tropical reef fishes, also known as rock cod. Together with outstanding, full colour photographs of these remarkable and important fishes, this reference has up-to-date biological, ecological and population information for each species. Fishes that walk, fishes that breathe air, fishes that look like and are monsters from the deep. These and many more strange creatures swim through this book, John A. Longs richly illustrated tour of the past 500 million years. Long has updated his classic work with illustrations of recent fossil discoveries and new interpretations based on genetic analyses. This book combines scientific expertise with entertaining stories about Long’s own excursions, which span the oceans and continents. The book includes photographs of fossils from around the world, as well as dramatic colour illustrations depicting what the fish may have actually looked like. 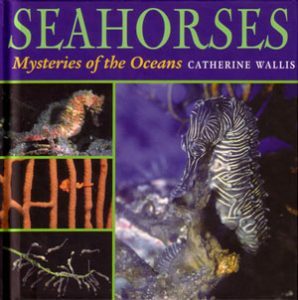 A lavishly illustrated cultural history of the seahorse. 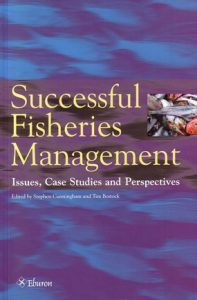 Successful fisheries management: issues, case studies and perspectives. Artist/Author: Cunningham, Stephen and Tim Bostock, editors. Explores the possibilities for effective and sustainable fisheries management across the globe. This book, with seven case studies, examines both the successes and failures of fisheries from India to Australia to Senegal. Experts in their field, the contributors offer their audience an essential examination of international fisheries. More than eighty percent of the world’s fish population lives in fisheries. At the same time, nearly three-quarters of the world’s most important fish species face extinction due to overfishing and environmental contamination. 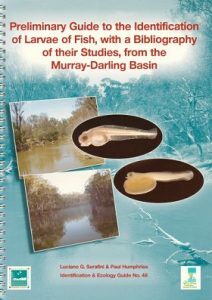 Preliminary guide to the identification of larvae of fish, with a bibliography of their studies, from the Murray Darling Basin. Artist/Author: Serafini, L.G. and P. Humphries.